Eleven autism organisations have joined forces to bring positive change to the autism community, ahead of the federal election this year. 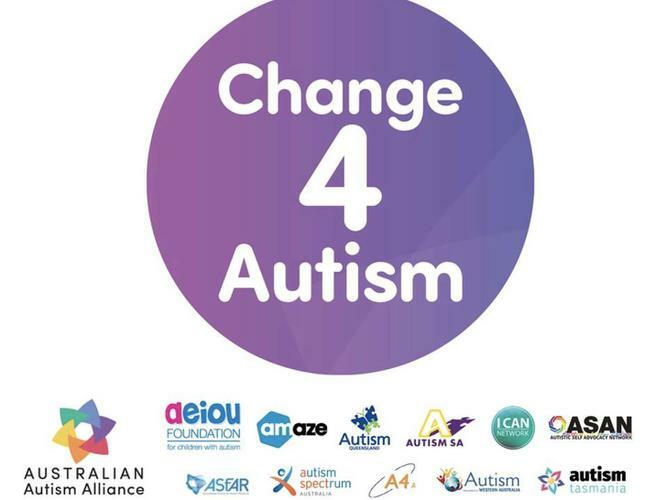 The campaign Change 4 Autism, led by the Australian Autism Alliance highlights four key priorities the Alliance feels must be addressed to ensure Australians with autism receive the support they need. These priorities include eliminating National Disability Insurance Scheme (NDIS) barriers to vital supports for autistic people, developing a National Autism Strategy, high-impact and sustainable advocacy and establishing a dedicated disability focused Royal Commission, which is already underway. Improve education of healthcare professionals. Chief Executive Officer (CEO) of Autism SA Jenny Karavolos says the organisation is proud to be a part of the campaign that is gaining good positive traction across the country. “We see this as a great opportunity to shape [the broader community] and represent the voice of the autism community. “These priorities will enable the needs of autistic people to be met, autism understanding increases and the participation of autistic people grows in all aspects of community life. She says it is encouraging to see awareness and recognition of the validity of the issues identified in the Change 4 Autism campaign. CEO of Autism Queensland Pam Macrossan is encouraging people to get involved in the campaign by telling their stories and getting in touch with local political members to facilitate change. She says all four priorities are key, but it is vital young children receive early intervention support as soon as possible. “We know there are lifelong positive benefits for early intervention because of the rapid development in those early years. Ms Macrossan is also pleased to see one of the priorities, a Royal Commission into the violence, abuse, neglect and exploitation of people with disability already underway. There is also support for a Senate motion that will be considered on Autism Awareness Day held on 2 April 2019. CEO of Amaze, Fiona Sharkie says the organisation is very proud to be part of the Australian Autism Alliance and the Change 4 Autism campaign. "It’s a bold and exciting undertaking – we’re determined to create real change for autistic people and their families now, and for generations to come. "The Australian autism community is vibrant and powerful, and we’re seeing that in this campaign." She says the autism community is feeling empowered to speak up and tell the government what changes they need to thrive. The Australian Autism Alliance is made up of the following 11 autism organisations; AEIOU Foundation, Amaze (Autism Victoria), Australasian Society for Autism Research (ASFAR), Autism Spectrum Australia, Autism QLD, Autism Aspergers Advocacy Australia (A4), Autism SA, Autism WA, I CAN Network, Autistic Self Advocacy Network (ASAN) and Autism Tasmania. You can read all about the Change 4 Autism priorities at the Australian Autism Alliance website or by clicking here.